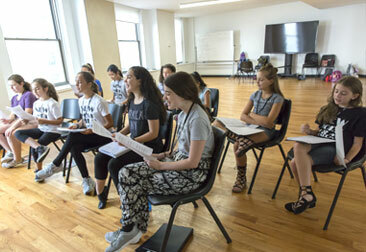 Whether the dream is to perform on a Broadway stage, challenge and strengthen performance skills, or gain confidence through self-expression, the New York Film Academy’s musical theatre camps for kids are designed to help young artists flourish. At NYFA, kids have the exciting opportunity to work one-on-one with Broadway-level professionals as they explore a wide range of skills in acting, singing, and dancing. 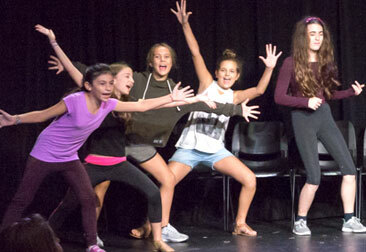 No matter their experience level, our musical theatre campers are sure to learn new things and discover a deeper understand of theatre performance. Courses in voice (primarily in choral singing) and movement will build a foundation for student rehearsals and staging. Musical theatre camps will culminate in a final performance final performance for friends and family on our brand new stage at our 17 Battery Place facility.